His Excellency Prime Minister Adil Abd Al-Mahdi held, this day, an expanding meeting to address the water pollution problem, including the ministerial order NO. (99) Issued for that matter. Continuing the basic plans and completing the delayed projects with their deadlines, In addition to benefiting from global experiences in this field, underscoring the need to overcome the routine and provide urgent solutions to stop the aggravation of this problem and ending it gradually. 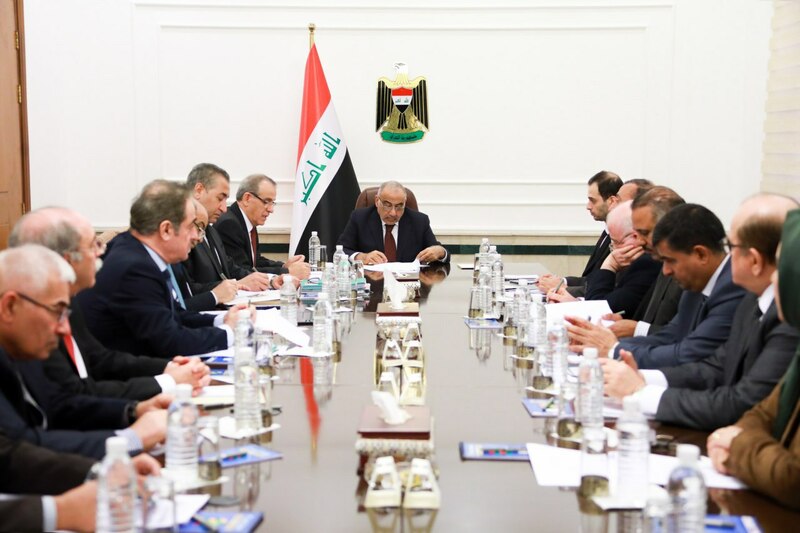 It was also agreed to issue a weekly bulletin to monitor and report the level of water pollution in the Tigris and Euphrates rivers to monitor the level of pollution and the departments and ministries causing that and to know their plans to treat waste and discarded. The meeting included the Minister of Health, the Environment, the Undersecretaries of the Ministries of Environment, Finance, Planning, Oil, Electricity, Agriculture, Industry, Municipalities, Water Resources, the Municipality of Baghdad, representatives from the governorates, The Sunni and Shiite Endowments, civil society organizations, the Iraqi Media Network, And a number of advisers and experts.